This comprehensive course is here to help you pick up design basics. Adobe has tons of design software that makes creating digital content a breeze. 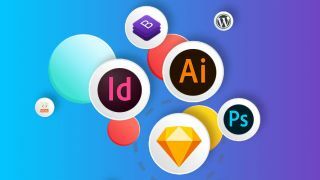 From InDesign to Photoshop, The Complete Learn To Design Bundle can teach you everything you need to know to become an excellent graphic designer, content creator, or virtual artist. You'll also learn the basics of HTML and CSS – important skills for anyone interested in web development – as well as web design for Wordpress. Illustrator, Bootstrap 4, and Sketch App will also be at your fingertips. The Complete Learn To Design Bundle is yours for the low price of just $39 – that's 96 per cent off the regular price.